Maximising resources and coordinating research efforts through a consortium like ours are mandatory to succeed in the rare disease field. To our knowledge, there has been no such cooperation of scientists with the aim of performing a UM research project of this amplitude in the EU or the rest of the world. The coordinator Institut Curie brings its clinical and preclinical expertise (largest UM reference centre in France and first recruiter in international clinical trials dedicated to UM patients), and will share and complement its already available patient biobank, as well as its panel of established cell lines and PDX models. Besides, Institut Curie​ has strong expertise in New Generation Sequencing and bioinformatics analyses. Cancer Research UK Manchester Institute will apply its world-renowned expertise in the generation of mouse GEMs, biochemistry and blood-borne biomarker detection. To complement the mouse transgenic models, University of Trento will provide a unique expertise in zebrafish GEMs. Leiden University is also at the forefront of zebrafish research in fields of cancer biology and immunity, and skilled in a variety of cellular, microscopic and molecular techniques relevant to this project. Leiden University will develop the xenotransplantation model for UM and automated injection and bio-imaging quantification to assess cancer cell aggressiveness in zebrafish, and to identify candidate drug targets and new treatments. The University of Liverpool is one of the three UM referral centres in the UK, with a well-known track record in UM prognostication testing, biobanking (e.g. Liverpool Ocular Oncology Biobank) and clinical trials. Leiden University Medical Centre also brings a strong clinical expertise being the Dutch national referral centre, as well as expertise in genetic analyses, immunological aspects and in vitro/in vivo preclinical studies. Finally Jagiellonian University in Krakow, as the Polish national referral centre, will start collecting patients’ samples and implement the SOPs agreed with the other centres, and bring expertise in cell lines and mouse PDX development. In addition, two SMEs will bring additional innovative approaches to the project. Firstly, Pep-Therapy is a biotech company developing proprietary Cell Penetrating & Interfering Peptides (CP&IP) as targeted therapies for cancer treatment. Secondly, Pamgene will be instrumental in the clinical translation of our results. Using its commercial expertise in the emerging markets of precision medicine and by providing its innovative and proprietary technology platform for companion diagnostics. Thanks to an efficient structure to support the coordination of this effort, through the SME Seeding Science, one major ambition of UM Cure 2020 is scientific, by providing major and most needed advances in the understanding of UM and specifically of the metastatic disease. These advances will be widely disseminated to the scientific community and implemented through the initiation of UM-specific clinical trials under the leadership of the partner Champalimaud Foundation, which has astounding scientific and patient-oriented communication skills. Above all, our ambition is societal: we aim to have an impact on UM patients and their families through better information, increased networking, buddying and empowerment opportunities, access to expert centres and clinical trials, and acceleration of the development of new therapeutic strategies for the metastatic disease by providing sufficient evidence for the pharmaceutical industry to take forward novel therapies in clinical trials dedicated to UM metastatic patients. 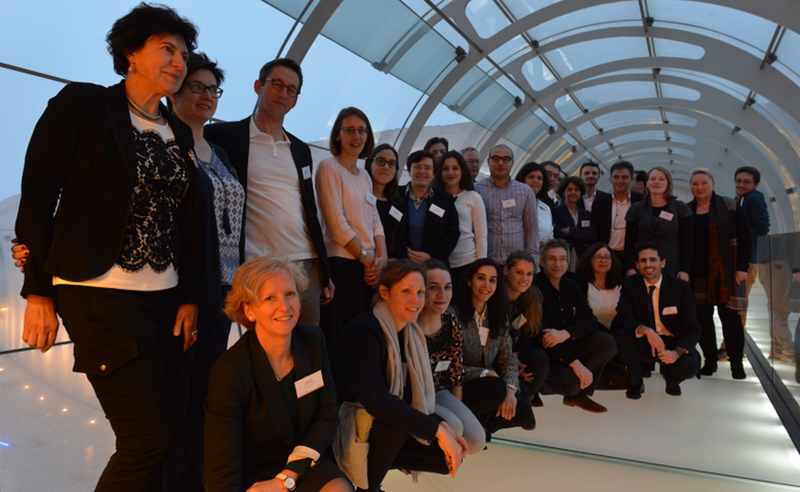 Partner Melanoma Patient Network Europe, as a European patient network initially focusing on cutaneous melanoma, has reached out to UM patients and been instrumental in our objective to foster a similar UM patient network across Europe.